The YBSD provides wastewater transportation and treatment services for the City of Yorkville, Illinois, the county seat of Kendall County. 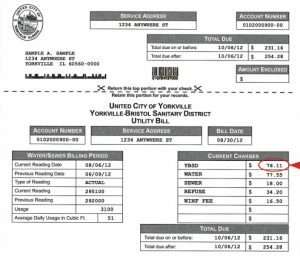 The United City of Yorkville bills and collects the Yorkville-Bristol Sanitary district’s (YBSD) “user charges” bi-monthly (every two months). 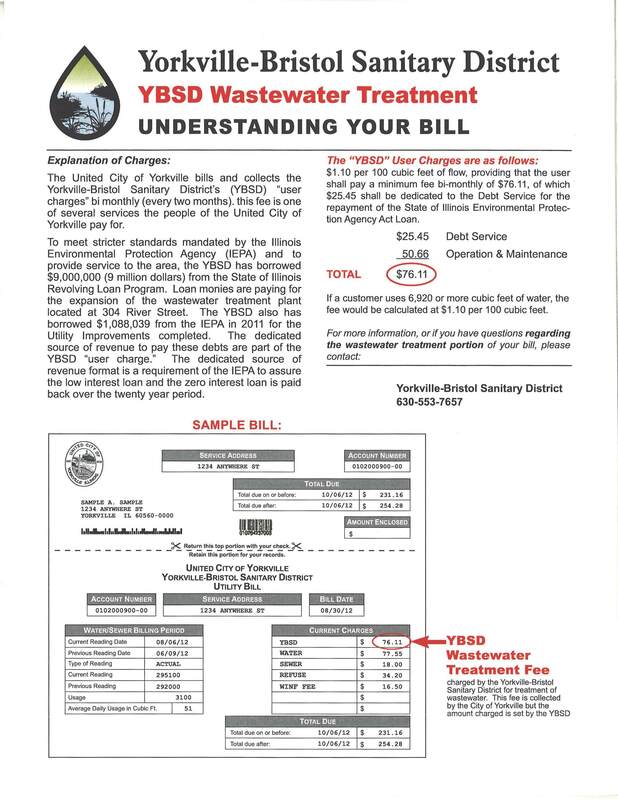 This fee is one of several services the people of the United City of Yorkville pay for. The Board of Trustees generally meet on the second Monday of every month at 5:30 pm. The meetings are open to the public and are held at the Yorkville-Bristol Sanitary District offices. Yorkville Web Design by Weblinx, Inc.